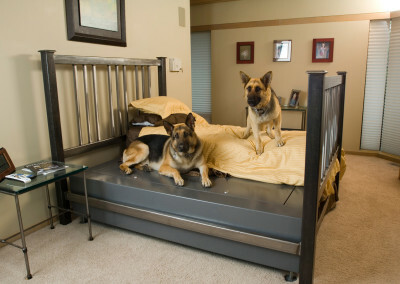 The BedBunker is made in the USA. 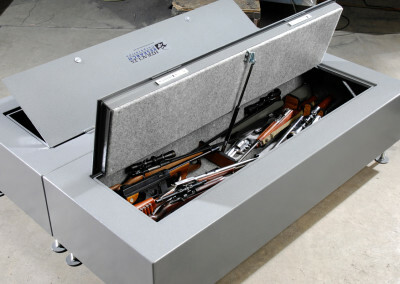 Rifle capacity with included oak racks 32 single stack 64 double stack using socks to protect rifles. 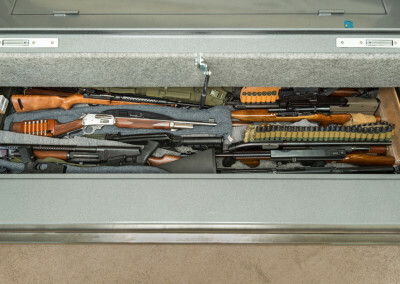 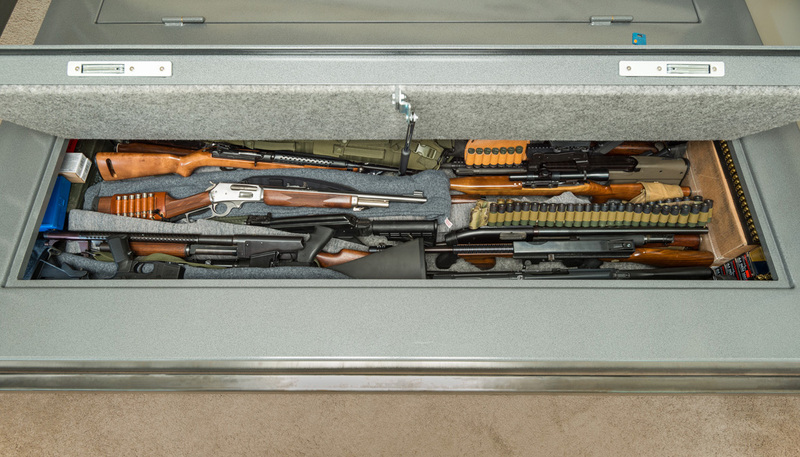 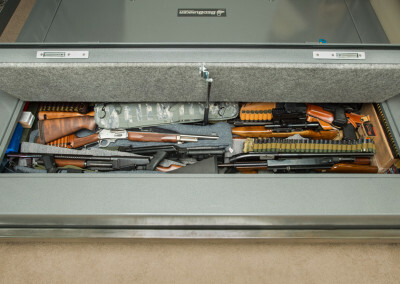 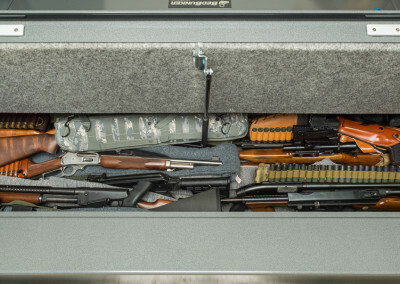 Capacity up to 30 rifles in a twin and 60 rifles in a queen and larger bedbunker plus numerous pistols and ammo if you take out the easily removable racks. 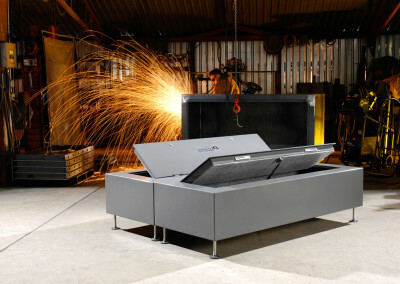 BedBunkers have a 2 hour fire wall to protect your valuables in extreme conditions. 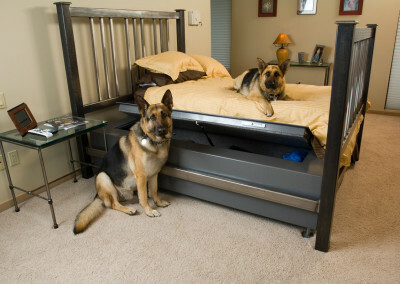 All BedBunkers are GUARANTEED FOR LIFE! 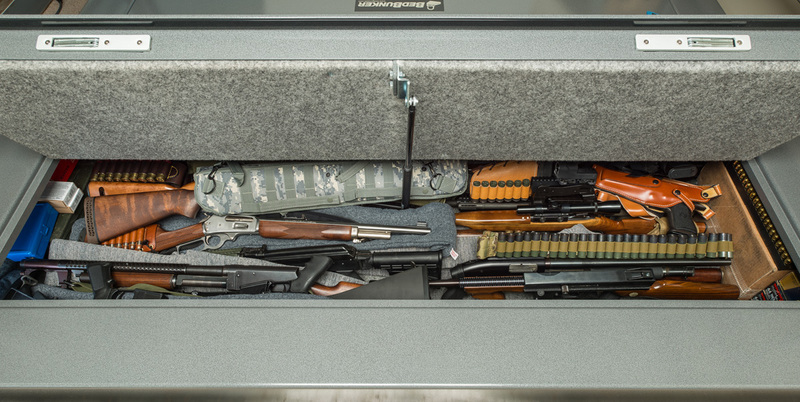 Inside Storage: Two compartments – 75″ x 26″ x 10″ each. 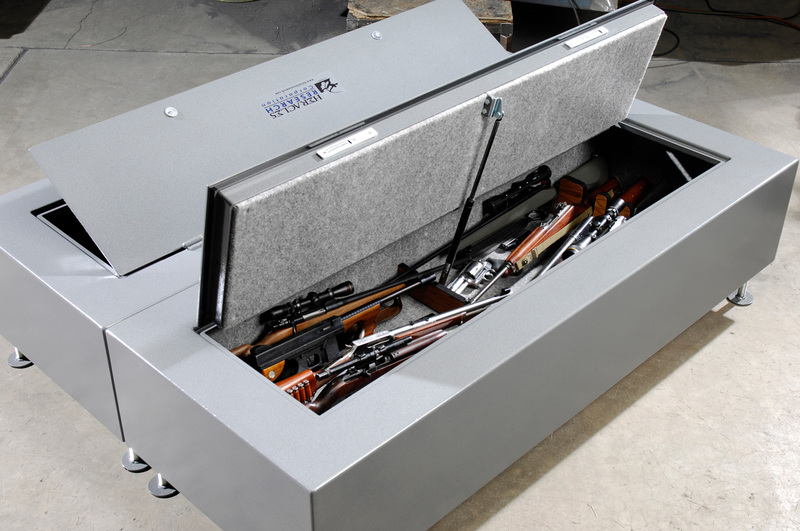 Gold, silver, and other valuables are protected within this carefully designed tamper proof hidden storage system. 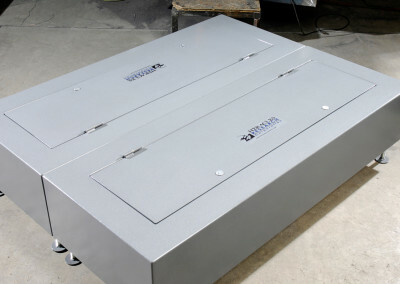 BedBunkers are guaranteed for life.We use high security Mul-T-Lock locks on all BedBunkers. 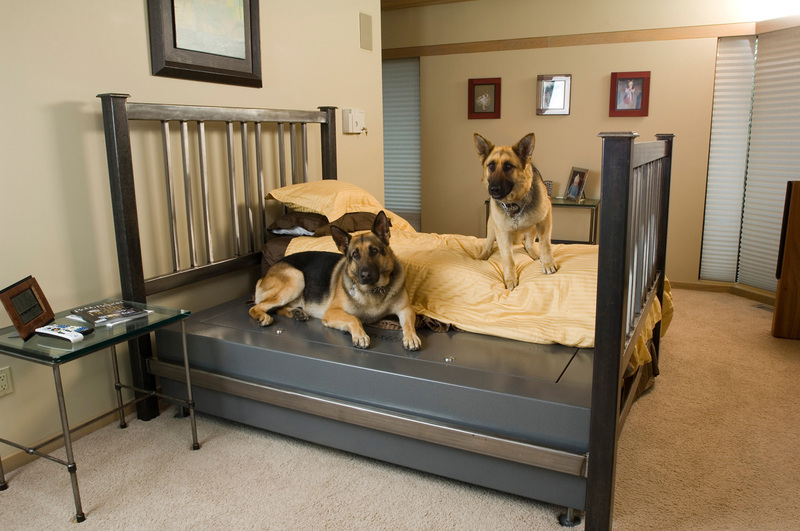 Interactive electronic locks are available on request. BedBunkers have a 2 hour fire wall and have withstood temperatures in excess of 1533 degrees. 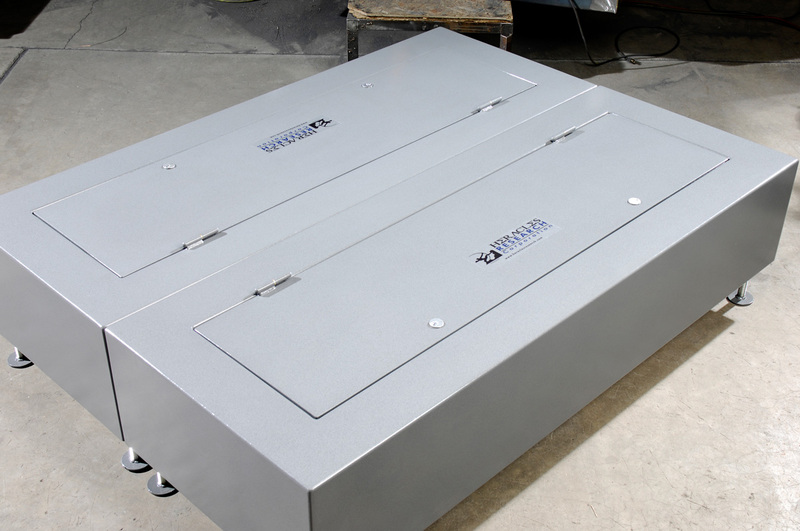 All structural components are tig welded and powder coated for maximum strength and protection from the elements. 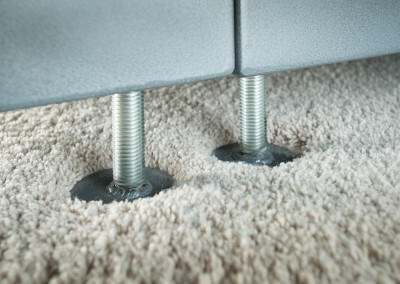 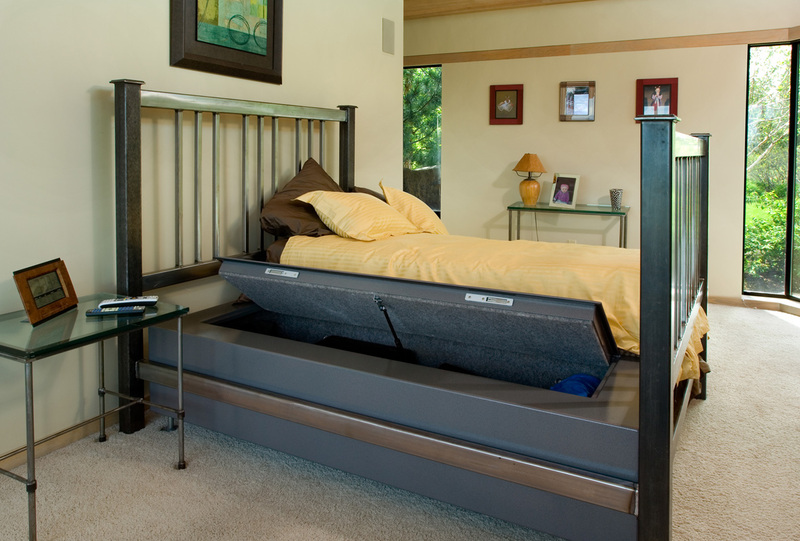 BedBunker modular safes are designed to replace the box spring under twin, queen, or king size mattresses and are compatible with most standard bed frames. 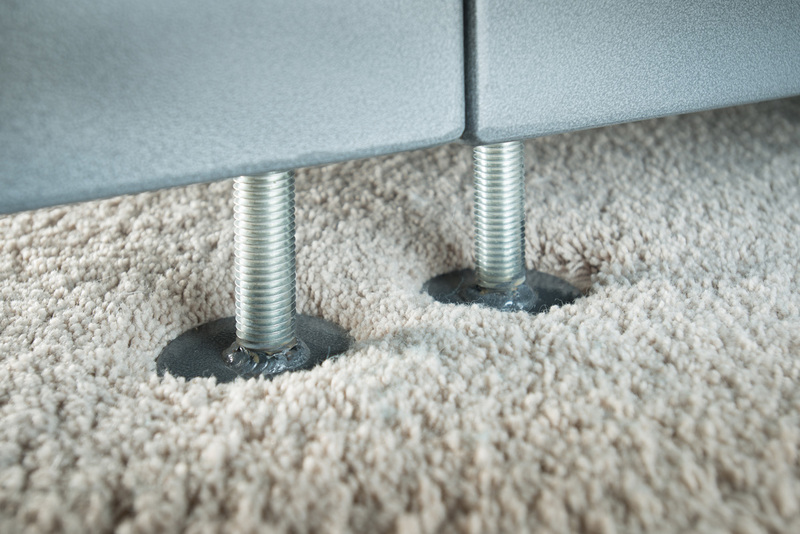 Custom sizes are available by special order.The BedBunker is equipped with 1” diameter threaded legs for height and leveling adjustments. 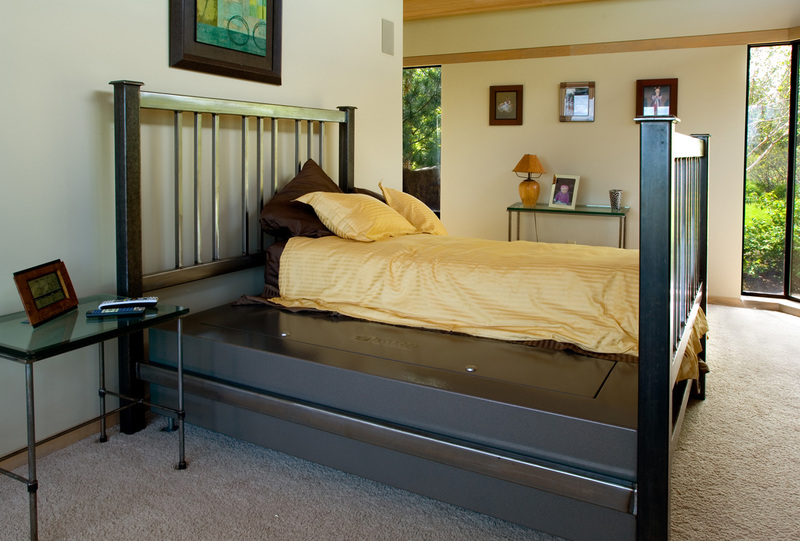 Optional fully adjustable casters are available for easy repositioning. 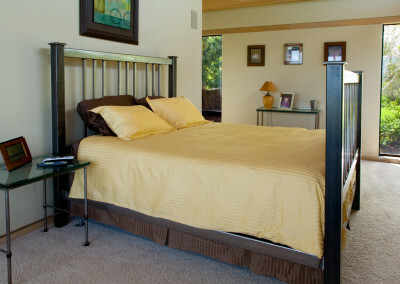 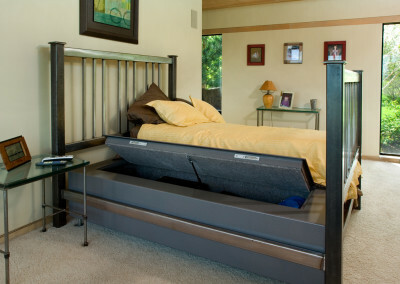 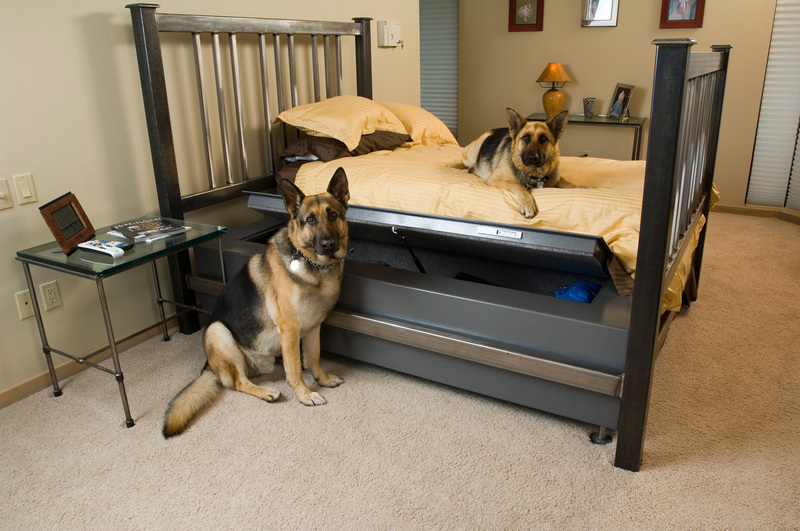 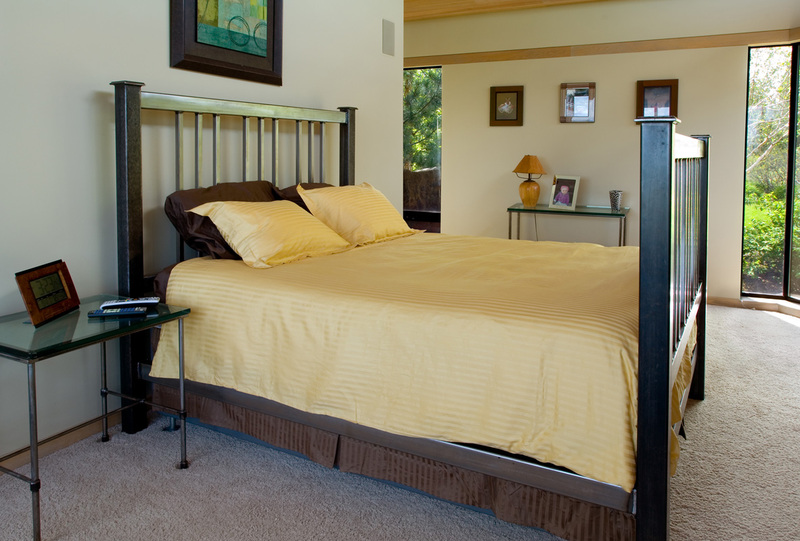 Available in single or double safe models for king and queen size beds.